PS Vita rhythm game set for late June release. 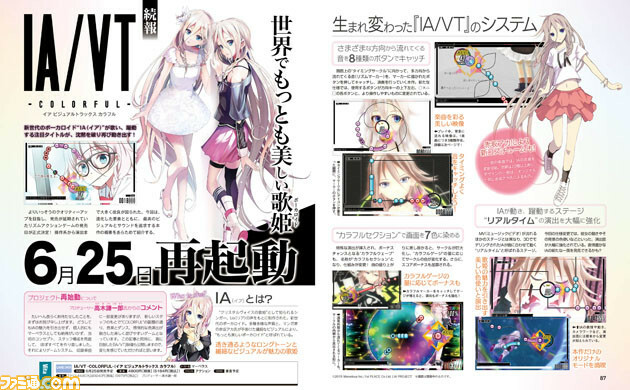 IA/VT Colorful, Marvelous’ PS Vita rhythm game based on the Vocaloid IA, will launch in Japan on June 25, this week’s issue of Famitsu reveals. The magazine also introduces the game’s evolved elements, recaps its basic systems, and has a list of song titles and artists featured in the game. Further details have not leaked.